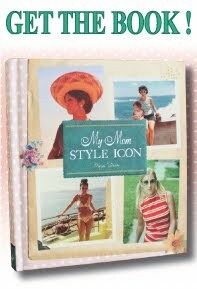 My Mom, the Style Icon: COUNTDOWN TO MOTHER'S DAY : 8 DAYS LEFT! Haven't gotten mom a gift yet? Why not make her something-- like a blog post that tells her how gorgeous you think she is? For the NEXT WEEK I'll be handing over the reins of this here site to you readers. Submit a vintage photo your mom with a headline and dedication to her and I'll post for you. Then surprise her with the link next Sunday. It's one of those "thought that counts" gifts, though I'd also recommend getting her a flowers too. 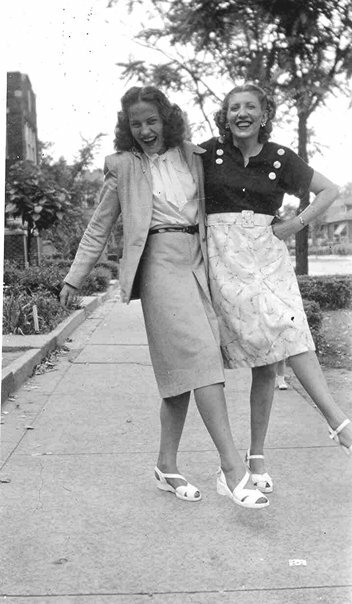 Tricia Giedraitis kicks off the dedications with this incredible photo of her mom Alvina (left) with her aunt Annie. "Taken in the early forties. I so love this shot! My mother's reaction to seeing this shot was, 'Look at those Gams!'" Thanks for posting the pic! Mom will get a kick out of seeing this! Good luck with the book! Your Expedition , VE twenty five along with Mountain twenty five are [URL=http://www.northfacetriclimate.org/#814]north face outlet online[/URL] created for significant wind resistance. Their own options involve most of the Himalayan attributes these kinds of as double doors with double vestibules (for the Mountain , the front vestibule), internally adjustable zippered [URL=http://www.northfacetriclimate.org/#560]north face triclimate[/URL] with mesh screens, indicative guyline loops, inner pockets, etc.